Orange Coast College, located in Costa Mesa just minutes from Southern California̠s beautiful beaches, was founded in 1948 with an opening day enrollment of 500 students. In the years since, it has grown into one of the nation̠s largest -- and finest -- community colleges, enrolling more than 25,000 students each semester. Featuring exceptional facilities and the latest in computer and high-tech equipment, OCC offers more than 130 academic and career programs, including one of the nation̠s largest and most acclaimed public nautical programs. 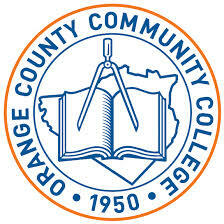 Nearly half the students on campus are enrolled in one of OCC's career and technical programs.Furthermore, Orange Coast College ranks first out of Orange County's nine community colleges in the number of students it transfers to the University of California and California State University systems. Over the past decade, nearly 16,000 OCC students have transferred to UC and CSU campuses. Additionally, many Orange Coast students go on to transfer to private colleges and universities within California and across the nation.